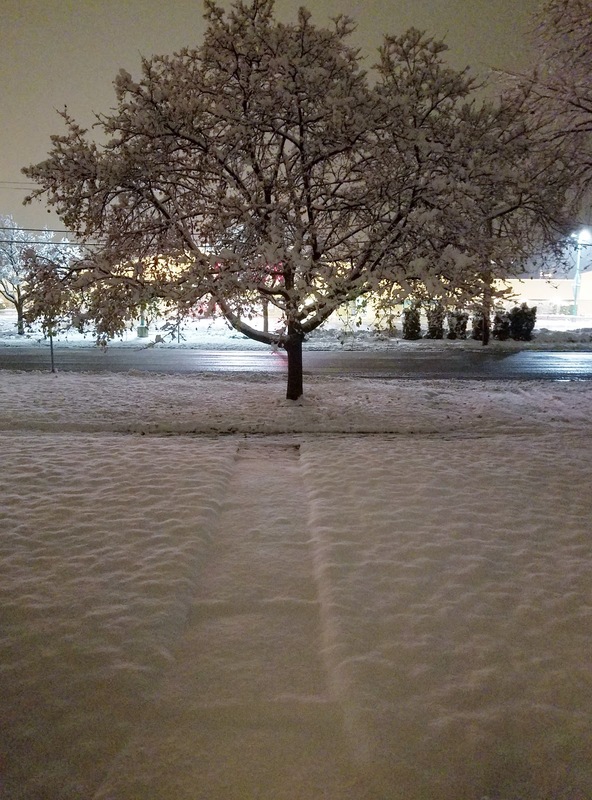 SharPharMade's Blog: First Winter Snow December 4, 2016 - A Night Wonder! First Winter Snow December 4, 2016 - A Night Wonder! Okayyyy! Okayyyy! I have to admit the snow makes a very pretty view; especially, at night! Makes nice pictures, and videos. 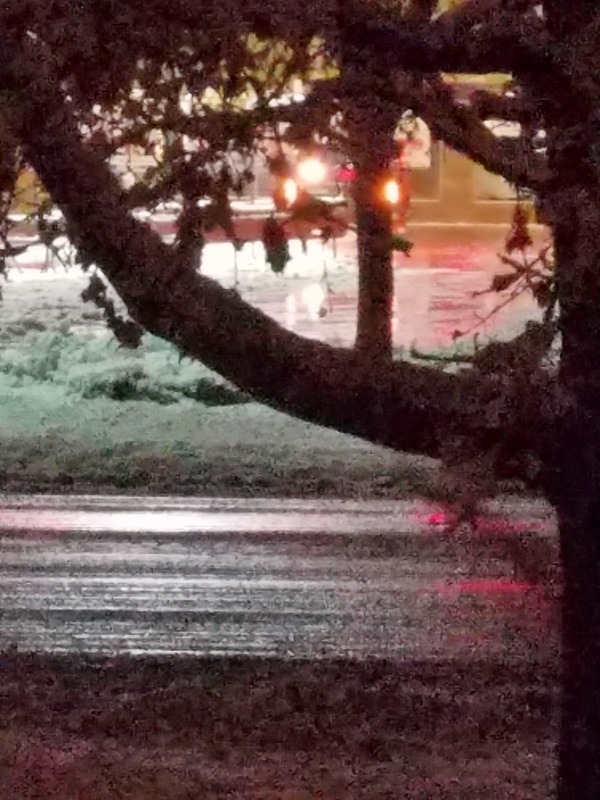 And, as you can see, enough snow fell, to bring out the snow plows, on December 4, 2016. Walt's (the grocery store across the street from my house, for you non-local FB Peeps), even, brought out theirs! It was, actually, playing the musical sound of Winter! Lol!